Why Build Links for HubPages Hubs? The more traffic you get (from the link you left in comments or from ranking higher in search results), the more clicks on your ads or the link you are promoting. The more backlinks and higher PageRank on your hubs, the more value will be passed on to the link in your article to your website. CommentLuv enabled blogs allow you to comment on blog posts and get a link to not only your main website (or in this case, your article site profile), but also to your choice of up to 10 of your latest articles. Learn more about strengthening your article marketing strategy, including other article directories as well. 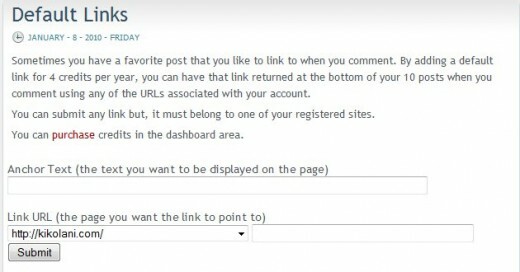 If a blog is not CommentLuv enabled, and the comment policy does not specifically state that you cannot leave a "deep link" as your website, meaning you could only leave hubpages.com instead of hubpages.com/hub/your-specific-hub, then you can build links back to your articles by including the URL in the website field of the form. Get better keywords as anchor text for your articles. Since some sites only allow you to use your real name and not keywords in the name field, your articles' anchor text will be your name. CommentLuv will link your articles using their titles or specific keyword phrases via Default links. Some blogs automatically approve comments from the same commenter assuming they use the same name, email, and website URL. So if if you visit the same site often, instead of having your comments go to moderation everytime you comment with a different article URL, you can use the same profile URL as your website and any of your latest 10 articles in the CommentLuv link. Are you ready to learn how to promote your HubPages using CommentLuv? Let's get started! Click on the registration link at the top of the page. 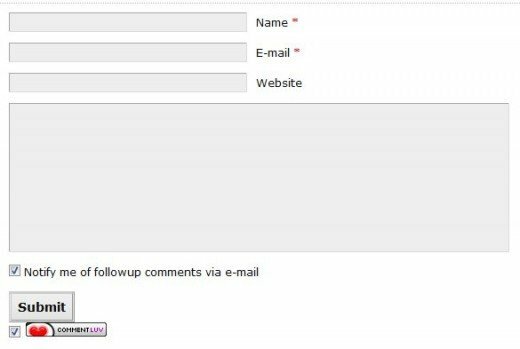 Enter your desired username, email, agree to the TOS, and select Just a username, please. Check your email for a confirmation email. When you click on the link to activate, you will get your password to login. Once you've logged in, you will see a link to fill out your profile - simply click the Edit Profile and enter a Twitter username (if you have one), your username which you've already chosen, and a short bio. If you already have a ComLuv account associated to another site, you can add an additional URL for 6 credits per year. Credits can be purchased or earned. Refer people to the ComLuv site. Having the most amount of unique clicks in a given month and you will earn 5 credits. Introduce the most new members to ComLuv in a given month and you will earn 10 credits. Write a tutorial on ComLuv on a CommentLuv enabled site. Depending on the detail of your tutorial, you will earn 1 to 20 credits. To refer people to ComLuv, you will need an affiliate URL. Your affiliate URL will be in your member dashboard. Simply login or, if you're logged in, visit Your Profile. Scroll down to the Affiliate Settings and change Enable Affiliate Links to Yes please as well as enter your PayPal address (members who sign up under you and buy credits will earn you commission). After you enable your Affiliate Link, you will see it under Affiliate Details. Above that, in the Advanced Settings, you can enter a URL that you will send referrals from. This is only applicable if you own your own domain - if you are referring people from your articles, profile, or other sites, you will need to use your referral link. To buy credits, simply click on Buy more. This will take you to a page where you can buy credits in quantities of 5, 10, 25, 50, 75, and 100 credits for $1 USD per credit via PayPal. Now that you've registered, you can enter your main URL by clicking on Edit Site on your Member profile. Or if you are adding an additional URL, under the Member menu, select Additional URLs. Your Site Name should be something descriptive, such as your name on HubPages. It will be the anchor text that links to your HubPages profile. You can enter 10 which will allow you to select your latest 10 hubs / articles. If there are no other fields, simply submit and you're all set. Enter the description for your HubPages account. Include what you like to write about, how long you have been writing, or even your HubPages bio information. Next, select a site category - this can be the category that most closely fits your article writing theme. Finally, enter up to 6 keywords that fit your HubPages account! You can always change these details later if you so choose, with exception to your main site URL. If later on, you no longer wish to have your HubPages on ComLuv, you can always delete that site and add a new one as your main URL. If you want to add additional sites (blogs, article marketing sites, etc.) you can skip down to the directions under Add an additional URL. CommentLuv Enabled Dofollow Blogs - This directory lists CommentLuv enabled blogs that are also dofollow. 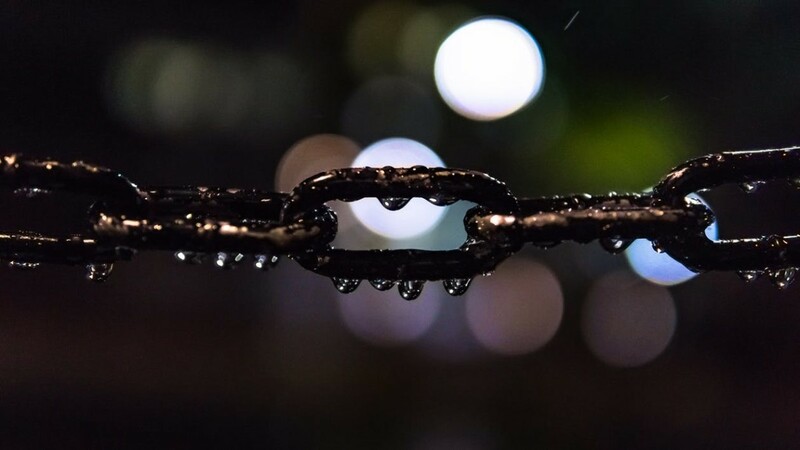 Dofollow simply means that the nofollow link has been removed, giving your link extra "link juice" in terms of passing anchor text, site authority, etc. Use the CommentLuv Search Engine - This can be found on the right hand side of the menu bar of the ComLuv site. Google Custom Search Results will bring back the latest posts on the keyword query you serach on CommentLuv enabled blogs. You can also use your favorite search engine. Simply search for a keyword and CommentLuv. Enter your name, your email address (not shown in comments), and enter your profile URL as the website. The CommentLuv checkbox should change from the image or text to a dropdown list your latest 10 posts on your registered site. If you have additional URLs registered, your latest 10 posts for each registered site will show up in the dropdown. Simply select the post you want to leave with your comment. 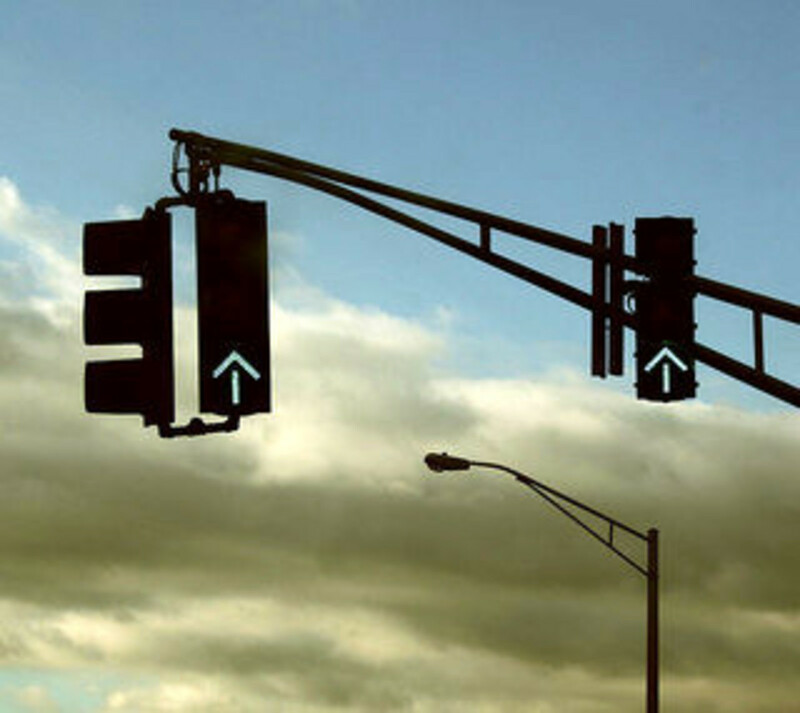 For the best results (including increased traffic to your article), make a great comment. The better your comment, the more likely people will want to check out your site as an authority on a particular subject. Also, try to select an article that will be appealing to anyone who is reading the post you are commenting on. This will make it more likely that others will also be interested in your article, making them more likely to click on it. As you notice, in the dropdown, your latest posts are limited to 10 and are linked using the titles of their articles as anchor text. If you are interested in linking to older articles or newer ones using a specific set of keywords, you can do so by adding Default Links to your ComLuv profile. Default links are 4 credits per year each. To purchase or earn credits, see #2 under Additional URLs. To submit your Default links, choose the anchor text you want to use for the article. For example, after doing some research on Google Adwords Keyword Tool, I chose to use the keyword phrase "Make Money Blogging" for an article I wrote reviewing a program that teaches you how to make money blogging (which also includes a section on article marketing). Next, you will submit the Link URL to your article. In the dropdown, you will see the root URL for HubPages. In the next box, fill in the rest of the URL for the article (from hub/Your-Article-Title) and Submit. The next screen will ask you to confirm your URL and anchor text is correct - you can click on the link to test it out. Then Confirm. Your Default Link will show up at the bottom of your CommentLuv dropdown when posting comments. The one issue you might run into when commenting is that the site cannot pull your feed. Sometimes the systme just glitches and it happens. It can be easily rectified by visiting the Unban URL form and enter the URL. It's only happened to me twice in almost a year of using CommentLuv enabled blogs, so it won't likely happen to you very often. In this hub, you have learned the benefits of blog commenting on CommentLuv enabled blogs, and how to setup your ComLuv account to get your latest 10 HubPages hubs to show up every time you comment, as well as how to optimize your hubs' anchor text even better with default links and short keyword phrases. So why not go out and get started promoting your HubPages with ComLuv today! If you have any questions or concerns, please add them to the comments below or contact me directly through my website. If you are already using this method of promotion, add your experiences here as well. GrowMap will identify and share proven methods of generating more traffic to your Web site or business many of them totally free except for the time required to implement them. Learn how Chris Guthrie left the corporate world behind to work from home as a successful, full time entrepreneur. Dennis Edell covers Internet marketing (IM), Affiliate marketing (AM), Blogging, and yes, Offline marketing in plain English. Andrew Rondeau's Income Blogging Guide will help you learn how to make money the real way without selling you another get rich quick scheme. Interesting idea to consider - many thanks! Call me crazy, but when I go to the comluv website, it tells me the licence is $97. Is there a way of doing it without having to pay $97 or is that just the way it is now? Thanks for the valuable information! Great information. Does all of this still apply? Or has something important in the process changed? Welcome to the Largest ON Line, In Stock Jovani Gown Collections. Thanks for sharing such a great article. I have recently started using Comment Luv and and very excited about using it for link building. Fingers crossed, this would start a new revolution of online success. The way I see it, some people don't have blogs, but rather they write on sites like this, so hubs could be considered their blog posts. Some might consider hubs promotional items, but let's face it - there are plenty of blogs that are nothing but affiliate marketing promotion, so there's not much difference. I've read hubs that were more blog-like and informational than blog posts in some cases. Thanks for this easy to follow guide. I have only just really discovered commentluv. I've seen it before, but I had no idea what it did and it had just become part of the furniture when I was browsing. I wonder if there is value in simply using your hubpages profile as a link if you don't have an appropriate hub as the link juice from your profile trickles down to all of your hubs? Or at least I hope it does. Anyway I'm going to sign up with commentluv in the hope of bringing a tad more traffic in. It's such a rush to get outdoors, take a break from your everyday pressures, to really unwind....& so neccessary for our health, both inside & out. Your site is knowledgable & supportive, thank you. 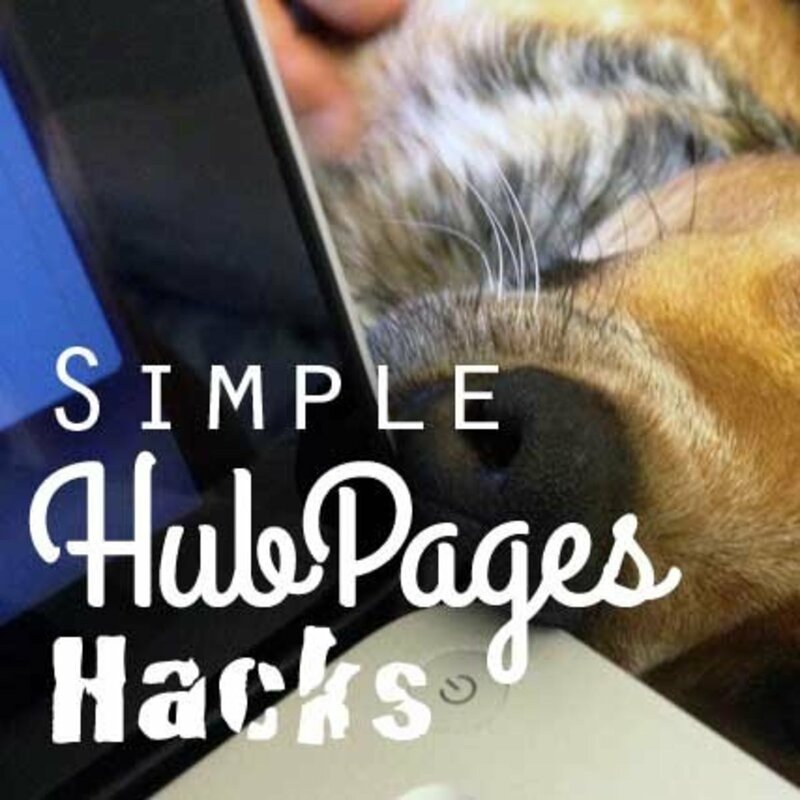 I didnt know this about hub pages, great post. Fresh air, fresh food & fresh approach have made the difference for me. And plenty of water, inside & out. My skin is glowing. Thanks though for your excellent research & stories. 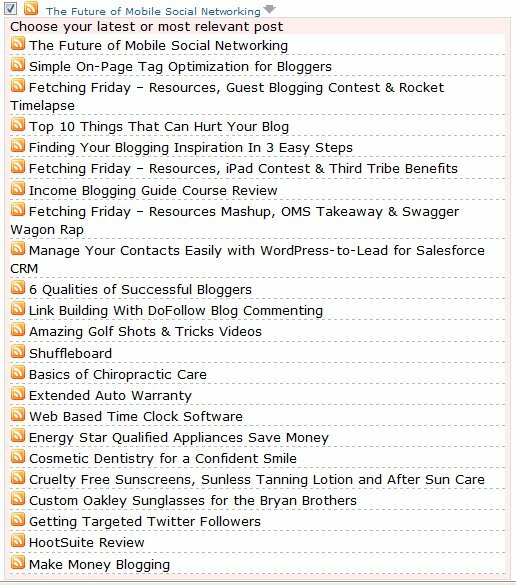 I’ve seen several blogs using commentluv and every blog owner that has the plugin has said wonders about it! They say it increases traffic and comment activity a lot! Most probably I’ll install it on my blog, too! Interesting post about link building for hub pages. Thank you for sharing. 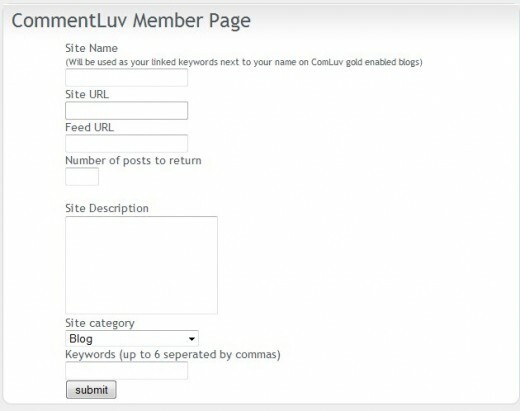 ComLuv is a fantastic tool which I have been using for my sites keyword link building campaigns. Your sites receive great quality backlinks from high PR sites just like this one. All links are Do Follow and what is also great it that most site cache you link so that your link doesn't disappear in a couple of weeks. Well Done and a big thank you to Andy Bailey CommentLuv founder. Submit your articles and links for free. PageRank is an algorithim google invented that assesses the strength of a website. The algorithim evaluates a site on a scale of n/a to 10 with 0 being the lowest/weakest and 10 being the highest/strongest. We can check our site's rank by using a pagerank checker tool. Did you know that the Basic HTML Color set is a combination of 216 color? You can find a tabulated view of the basic HTML color on the internet. It can be handy when you need to quickly choose a standard HTML color for your site or any other project. We should join discussion forums with a chat room, because we need information. The best benefits about using a forum or chat room is that you can converse about any problems you have and ask any questions you might have in your mind. This is really great news. I am gonna use it on my hubpages accounts too. Thanks for putting your effort on this post. I didn't know you could do commentLuv with Hubpages. I've seen it from time to time and always thought it was a great idea (especially along with keywordLuv)! Thanks for the info! Using commentluv really gives you many benefits like interaction between people on your website by which you get ideas, answer, advice and a lot more that helps you improve the stuff! However, nice commenting here, keep it up! Goodness - great linking strategy! 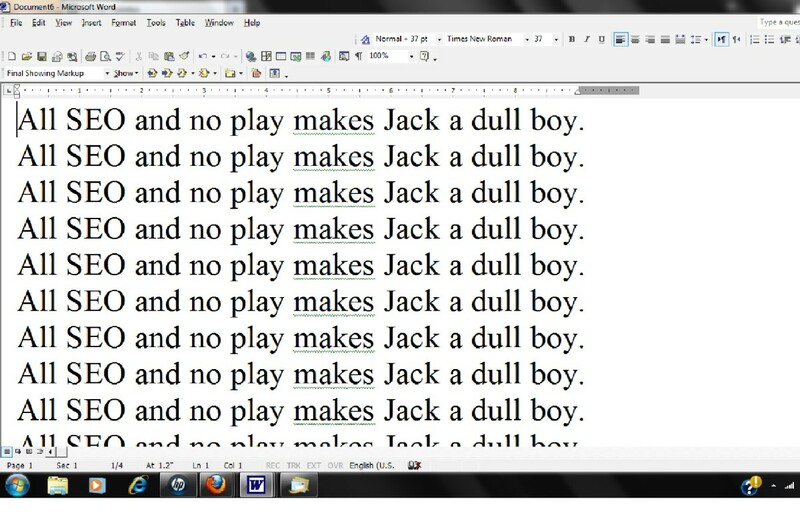 Great tutorial Kristi, and Dangazzm is right. If your comment includes keywords for the blog topic it will help the author out and merit a back link. Most comments that say things like great post, or I loved the information in this post typically get flagged as spam and are for the most part just deleted. Depends on the admin of course, but that is what I do on my blogs. Wow, I love this... Didn't know about commentLuv until now! And for everyone thinking comments in the hopes of obtaining a backlink is unfair... you don't understand so listen up. A good comment will add to the value and content on a site, thus will do better in the SERPs. In return you get a backlink, fair right? Besides they optin for this by enabling CommentLuv which makes me love this system so much more! So to recap, posting relevant information about the topic being discussed = good and you should get a backlink for it. Posting "Great Post" = Bad and you shouldn't get a backlink. Blog commenting for the sole purpose of obtaining backlinks. I think it's unfair for the blog owner. I did not know about this site. Thanks! 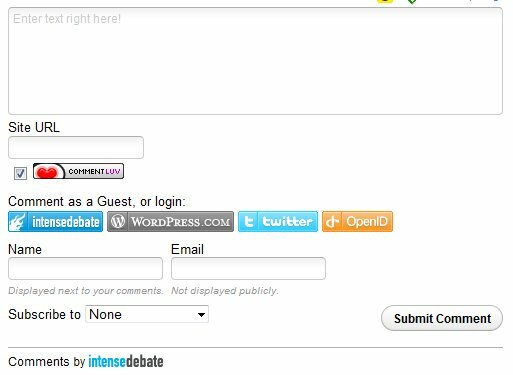 Yes, it can be used with a feed from a Blogger blog as well as on a Blogger blog using the Intense Debate comment system. Can i use it on a blogger ? This is really cool. I use this on my blog, but I didn't kow that it can be applied in other ways such as Hubpages. 8 years ago from ??? Nice to see you here, Kristi! Great hub - I am about to start producing hubs again, and I think this could be a good way of promoting them - though have to watch it to make sure it doesn't come across as spam (not linking back to an actual "blog"). They might not be the best links, but they are still links nonetheless. And it really depends on what you find... I'm sure that if you happened to find a PR 4 blog post, your link in the comments is still a PR 4 backlink. Plus, even if the SEO value isn't that great, you still might get traffic directly from the blog, and the traffic itself can be very valuable. Commenting on blogs even if they are dofollow and you can use anchor text has become so overused, my thinking is that search engine algorithms have been modified to devalue them to almost nothing. Thanks Kristi. I've been doing some of those things you've recommended. Would love to see some of that CommentLuv style juice in Hubpages. It really helps generate comments in a reciprocal love manner. The quality of comments is better too. I've been trying to figure out how to tie things together. I've got hubpages, blog posts and websites. With the power of CommentLuv to reward comments, I'm thinking a blog is the place to tie it all together. Nice Hub. Thanks for sharing :). Great Work. Great hub. Thanks for sharing. I never really thought about using blog commenting to promote my hubs. I have always used it to promote my own site. OptionTeacher - CommentLuv is a blogging plugin that, when activated on a blog, allows the commenter to leave a link back to her or his latest blog post, hub, article, etc. Can you tell a newbie in 1 sentence what CommentLuv is? Great Hub, really clears up some things about CommentLuv! Very good information - very well done and put together. - A!